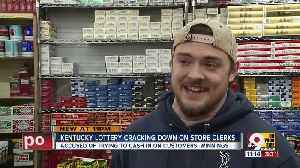 3 c1 3 is welcome back we've been talking about these mega millions winners you we we were told our today you got your own chance to hearing back if any is wrapped up take it ultimate kentucky lottery don't and i think you all stop avenue i this is our new $30 ticket. This is in commemoration of we were 30t anniversary 30 years old and while we lost our first $30 scratch off to report knox's always been one of our most working just retarded and you you :-) what is is is is one is what this this was brought in to keep in mind week ago friday two weeks ago writing this ticket went on sale next monday morning. I'm at my desk about seven. I'm at my desk about 715 one of my coworkers comes in looking like she's just seen a ghost is there's a $3 million and leave it happened so quick. This couple is scratching up the ticket drip rock the guy scratches off the ticket. 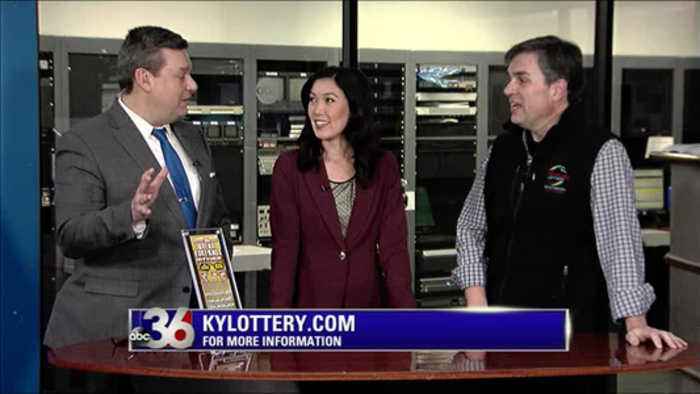 It's a $30,000 and we reach out with his wife's and we 130 is sure having the just excited be on get out after a minute or two like gets the ticket things is a little bit more here crash our lunches off to $30,000 to is now in million dollars as far as the adulation is already thousand and 10 july out drinking will remove the guy said he actually cried when i visited the tears just poured out of her sure story to reduce the amount of very to call we will you actually gotten mighty writer little kentucky lottery retails in the anymore $3 million top prizes in this game and a lot of there's over 70 $3 million top prizes in this game and a lot of there's over 7000 thousand dollars prizes in the game so others of is what we done this will celebrate 30 years with the lottery also means 30 years of incredible systems to go to soweto for 20 years now we've been funding college scholarship in the room to talk you on every dollar of the popular q scholarship program to over three point with the be $3.3 bonus programs just your lexington university of kentucky hundred million dollars. You do in lottery proceeds help kids go to college something wrong in helping a lot of people think about the factory where all the money go to the numbers are staggering is a lot of registry would like to tell because for 25 of our is literally against the wall is to talk about rings proceeds with the is is a part of our operating state you the minute is from being able publicize that five years ago they got change short story really would like will we will be sure to choose a with shirley is you i you wanted to local quantitativ managing to reckoning any kentucky lottery tell you 3200 different spots. You can’t win if you don’t play — or if you’re trusting a dishonest person to tell you the results. 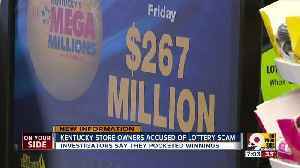 After getting complaints from lottery winners, the Kentucky Lottery launched an undercover investigation in the Louisville area and arrested two clerks who tried to cash winning tickets after telling..